Baking powder and baking soda are two staples almost everyone has around that seem to last forever. But a lot of people don't know that they eventually start to lose their potency after enough time on the shelf. If you can't remember when you bought it, it's probably time for a new box. When baking powder expires, you'll definitely notice the difference after your baked goods all turn out flat. Same thing with baking soda, which is an ingredient in baking powder, though you'll have the added disadvantage of stinkier pets, books, and shoes. Baking powder usually has a shelf life of about 9 to 12 months. Testing it is super easy. Just stir about half a teaspoon of baking powder into a cup of hot water. It will immediately start to fizz and release carbon dioxide gas if it's still fresh enough to use. This trick should work with both single- and double-acting powder. Baking soda (aka sodium bicarbonate) is said to have an infinite shelf life, but after you've had it for a few years you should test to make sure it hasn't lost all its potency. 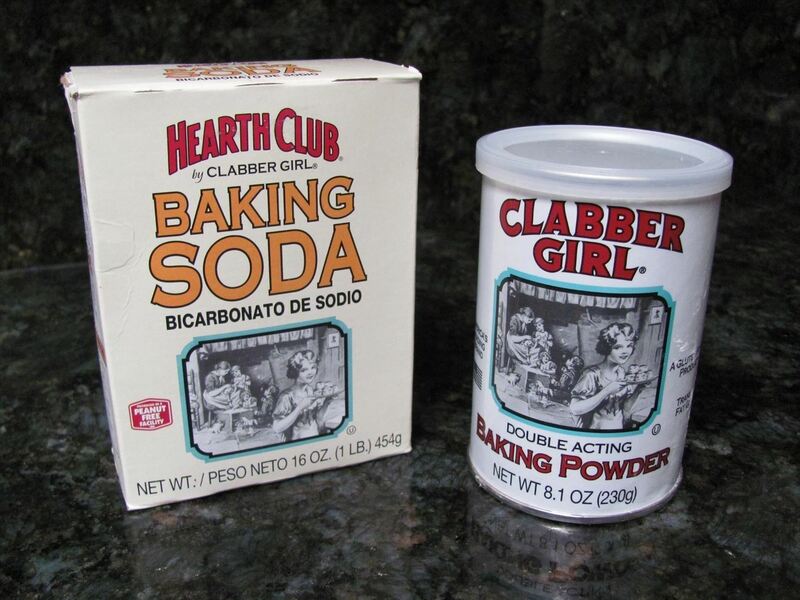 Unlike baking powder, baking soda only reacts when you add an acid to the solution. To test it, add half a teaspoon of vinegar to a cup of hot water, then stir in half a teaspoon of baking soda. Like the baking powder, if it produces a lot of carbon dioxide bubbles, it's still good. Do you test your baking powder and soda for freshness, or just use them and hope for the best? Let us know in the comments. One thing I have found some friends are doing is keeping the opened carton of soda in the fridge. Then using it for cooking etc. o many times I have told them to keep it in a cool dry place, and in a zip-lock bag as airtight as possible. People don't seem to realize, that when it's in the refrigerator open, it is meant to be absorbing the stronger odors of the foods mixed in there. Vegetables, fruits, meats etc. can mix together and leave a funky smell, the soda helps absorb it, but you should use a spoon and mix it up a few times over a couple months, then replace it with a fresh open carton quarter annually or so. It still has use afterwards for scrubbing floors etc., u don't need much though, also, if you mix it with powdered sugar (icing sugar), it can be used in the home or garden for roaches and some other insects, as they consume the sugar and soda, and when the soda mixes with the fluids in them, they die, kinda cruel but often necessary. I find it works best for baking when I keep it in a tight zip lock and place on the highest shelf of the cupboard. Also, the bubbling action of soda, with the slight abrasiveness is great to use if you dab just a finger nail size amount on your dish scrubber, especially with plastics, to remove excess soap and odour...it has so many great qualities, removing blood stains on white clothing, adding a bit to laundry so the abrasiveness is mild enough to add a little scrub to your clothing, without damaging it, but only if you use the actual soda, not laundry soap which includes soda, for once it has been in a liquid, it is no longer abrasive to scrub a dub dub..